Evidently a tenacious bunch, Omron’s robotics engineers persevered, determined to create something that would at least go some way to justifying all the hours they were giving the project. So at last, there’s some good news to share. This week, several years after a team member batted the first ball toward their (then) hopeless machine, Omron has unveiled a third version – and it’s ready to play. Clearly an improvement on the original (what wouldn’t be? ), and somewhat slicker than its predecessor, the latest design, which was shown off at this week’s CEATEC tech trade show in Tokyo, can actually keep the ball going with a human player. 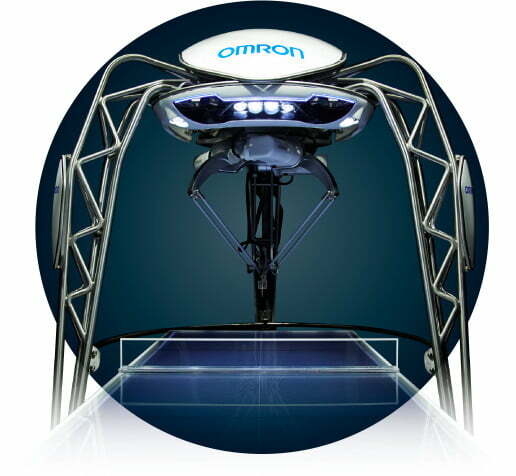 While the robot’s opponent in the video (above) is admittedly no wizard with the bat, Omron’s machine, whose design suggests it’ll be best avoided by arachnophobes, looks nimble enough and makes few mistakes during the rallies. To ensure it can make an accurate shot, the sensor-equipped bot analyzes not only the position of the ball, but also the opponent’s standing location and the precise position of their bat. Its computers then make a lightning-quick judgment about the likely trajectory and speed of the ball, allowing it to position its bat as the ball approaches before hitting it with the appropriate force back toward the human player. While there’s still room for improvement, it beats the mess that this ping-pong “Trainerbot” makes during a practice session, and could probably handle this much smaller machine without too much difficulty. And the motivation behind Omron’s efforts? Apparently it’s to develop the company’s sensor and control technology, which it says could one day help pave the way to “an enriched society marked by optimal harmonization of people and machines.” And really good ping-pong-playing robots.